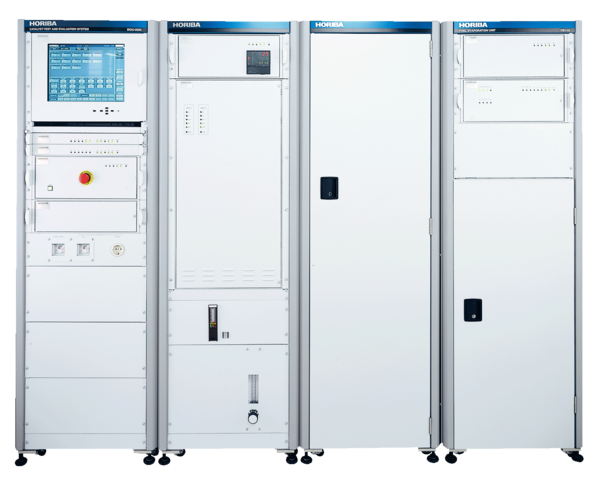 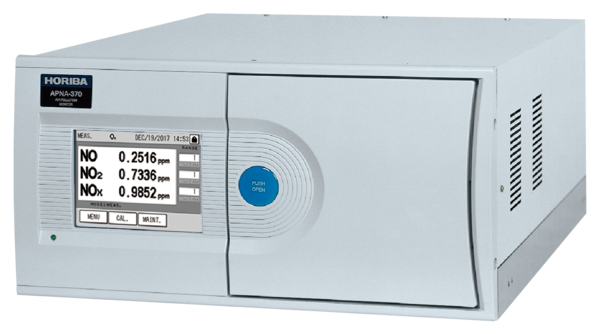 GA-370 provides constant, ultrahigh-sensitivity and high-precision monitoring of trace impurities (CO, CO2 and CH4) for quality control at gas manufacturing facilities. 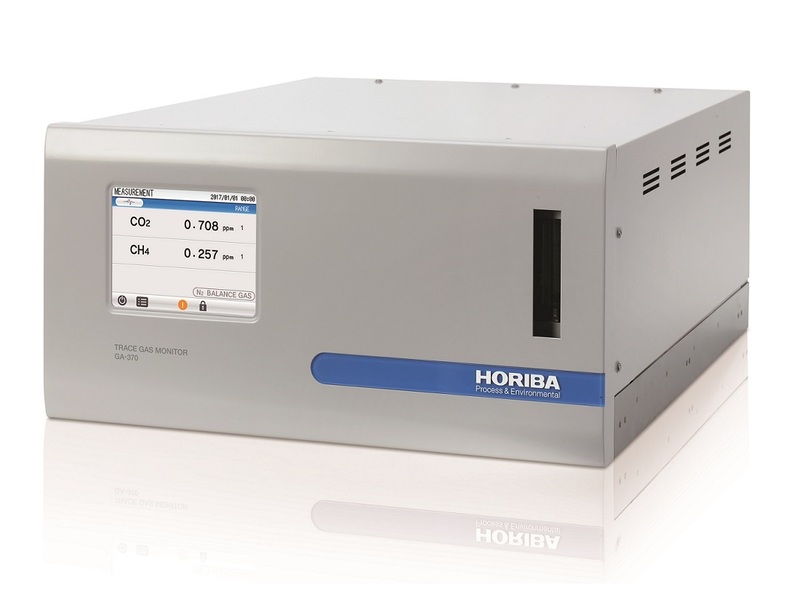 A cross-flow modulation dual-beam non-dispersive infrared (NDIR) analyzer provides continuous and stable zero drift-free measurements. 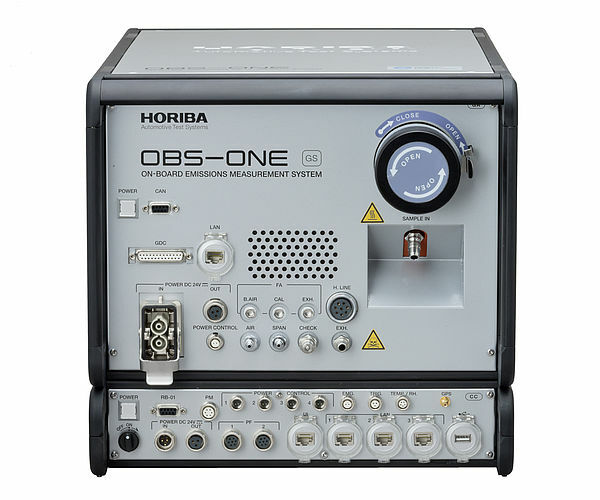 Minimum detection limit (MDL) of 10ppb which can support applications where high accuracy measurements are required. 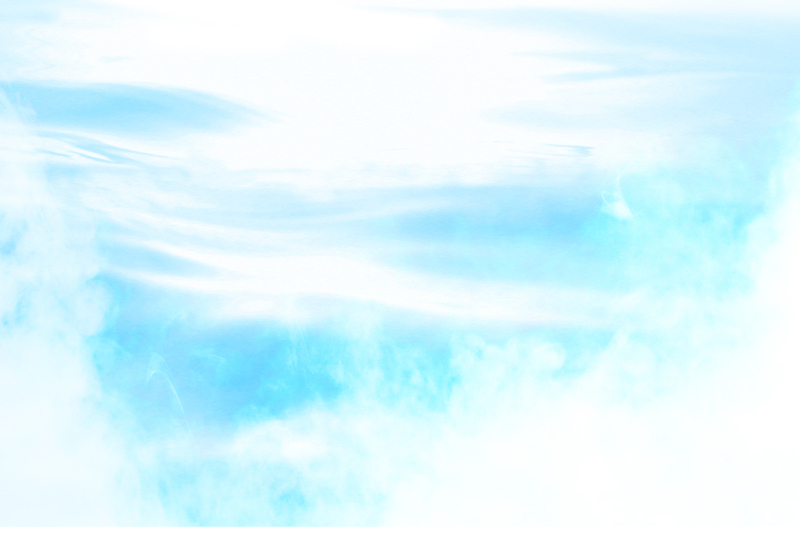 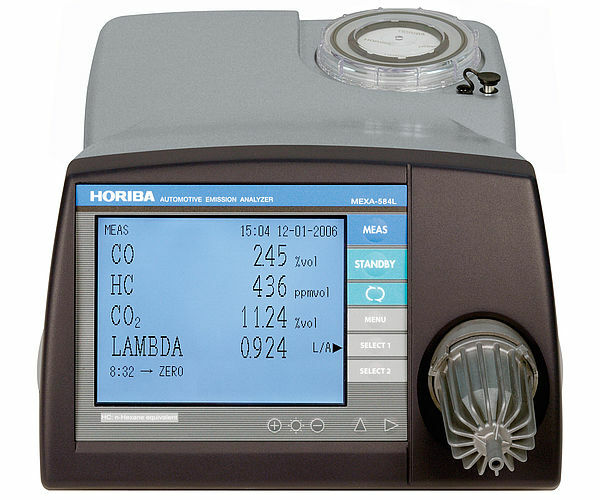 Representative gases such as N2, O2, He, Ar, H2 and Air are supported. 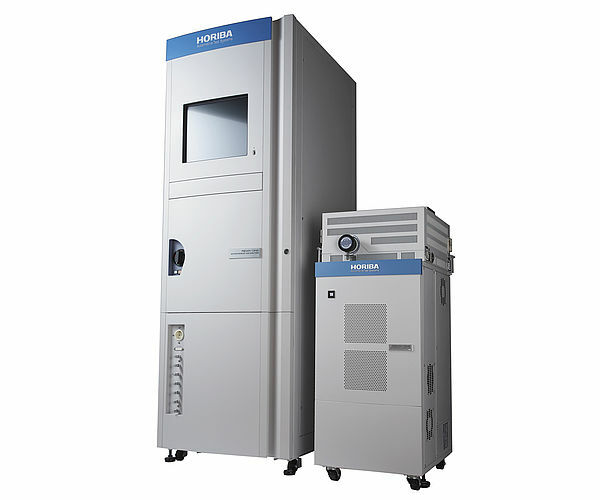 No optical alignment ever required. 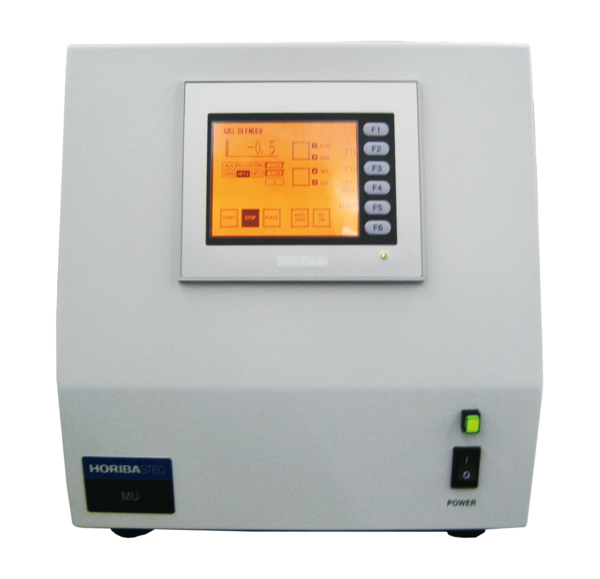 A touch color LCD display allows operators to view graphs of accumulated data. 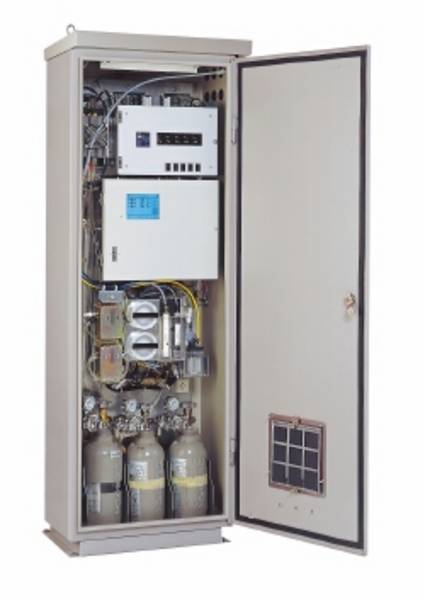 Industrial gases such as oxygen and nitrogen are manufactured by an air separation plant. 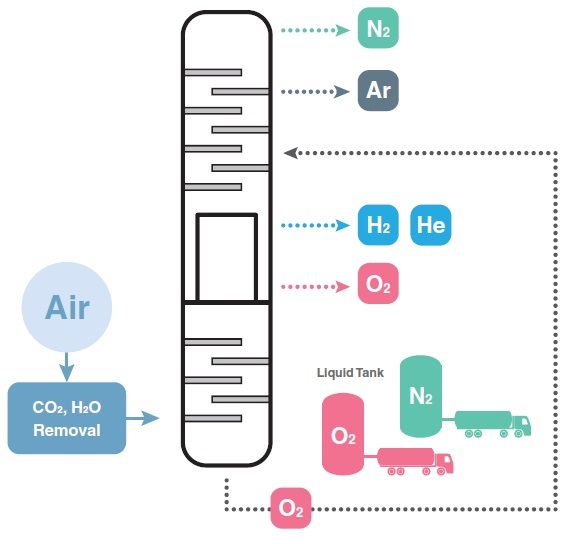 First, air that has had moisture (H2O) and carbon dioxide (CO2) is removed and separated to manufacture nitrogen (N2), argon (Ar) and Oxygen(O2). 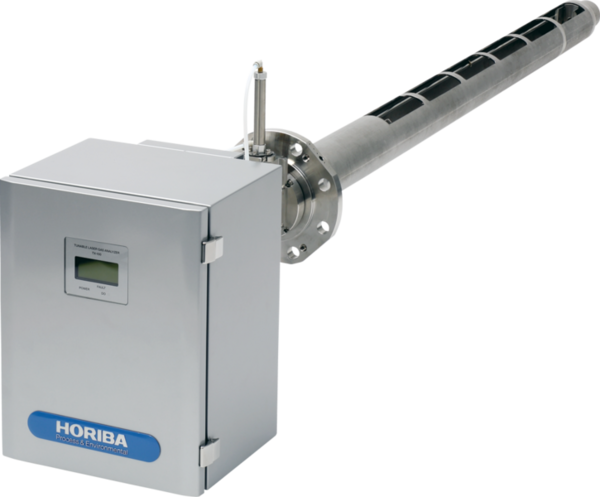 The separation process is based upon differences in boiling points of each of the constituent gases. 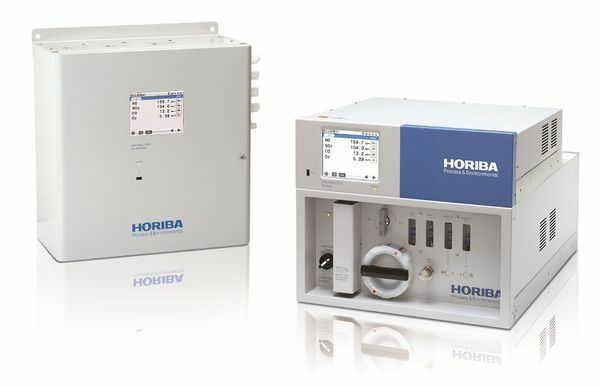 Similarly, air separation plants manufacture other rare or inert gases such as Hydrogen (H2) and Helium (He). 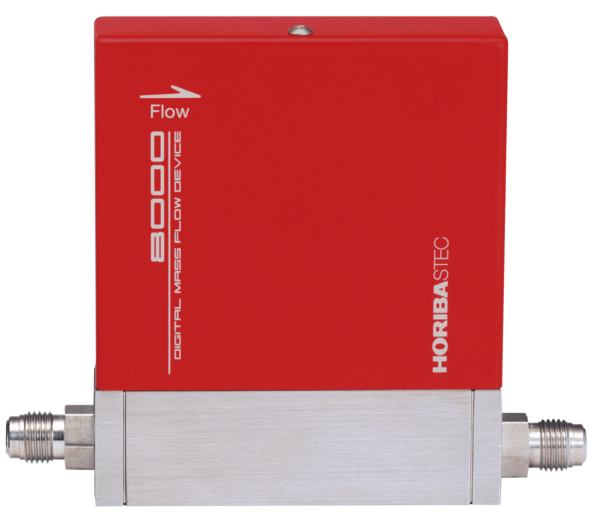 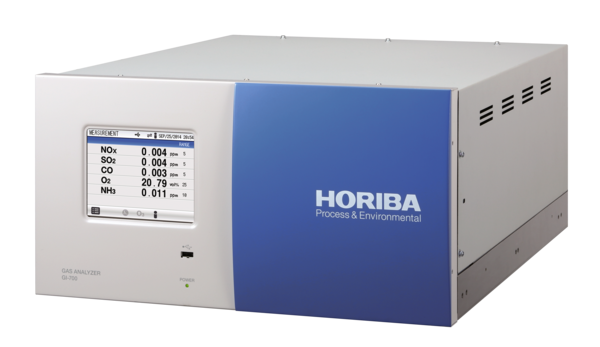 The HORIBA GA-370 Trace Gas Monitor is a useful tool for measuring impurities that may be in the separated gas for quality control purposes. 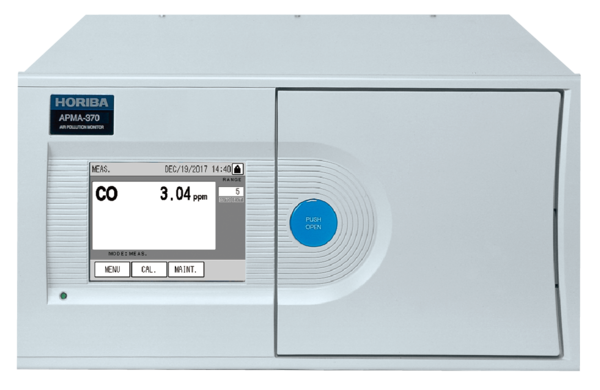 The GA-370 Trace Gas Analyzer uses an infrared beam in that passes through the cell of the detector. 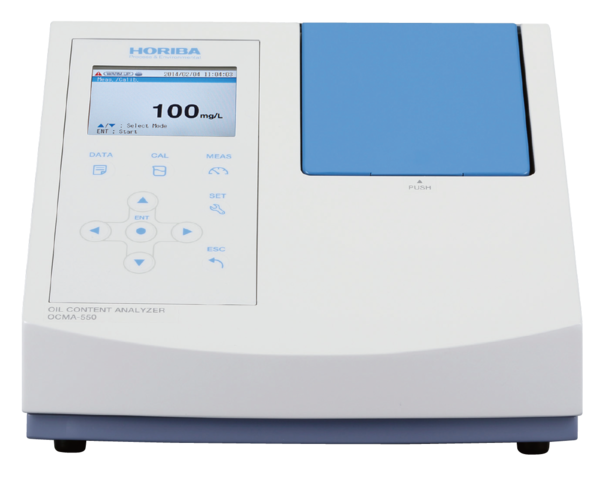 During the measurement, a solenoid valve alternately directs the sample gas and the reference gas to the cells within the analyzer. The presence of CO, CO2; and/or CH4 in the sample gas generates a difference in the　intensity of the light reaching the detector when the cells is　filled with sample gas as compared to when the cell is filled with the reference gas. 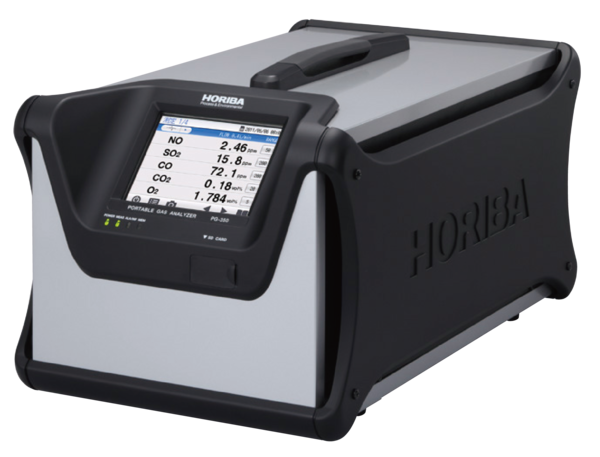 The differences in absorption by detector of the light from the two gases　results in deflection of the detector's　membrane to oscillate. 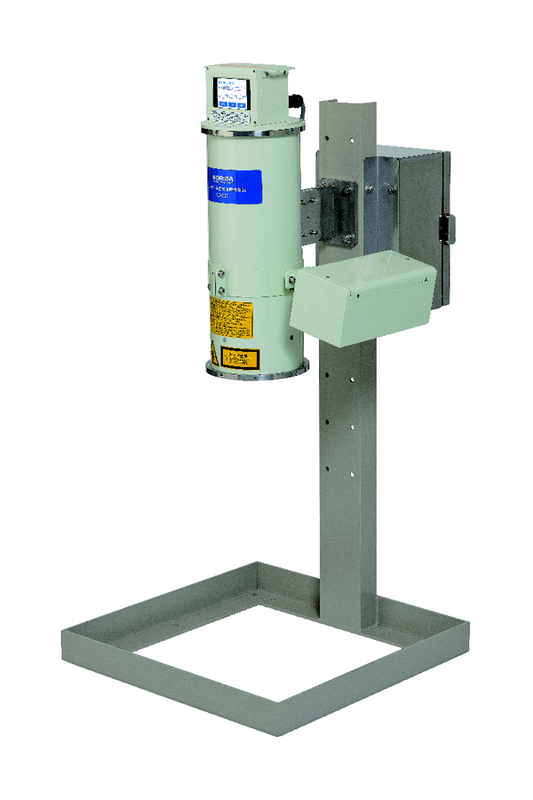 This measurement technique eliminates any need for　an optical chopper or optical adjustments as it eliminates　zero drift and　enhances sensitivity. 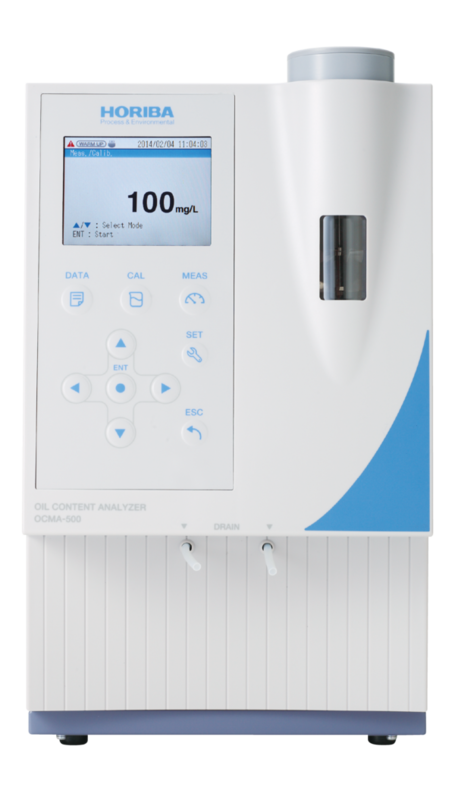 Note: A delivery pressure of 50-100kPa is recommended for both sample and reference gas. 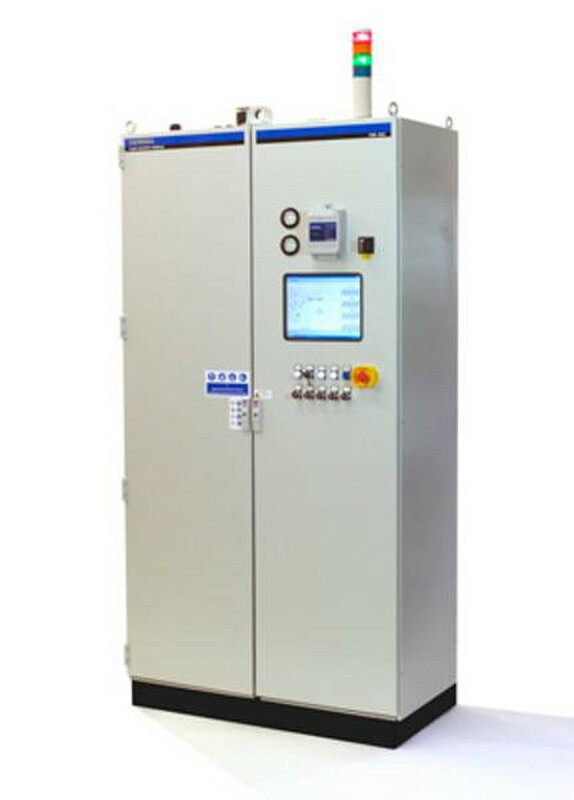 Select one from 0 to 1V, 0 to 10V, 0 to 16mA, 4 to 20mA or 0 to 20mA.